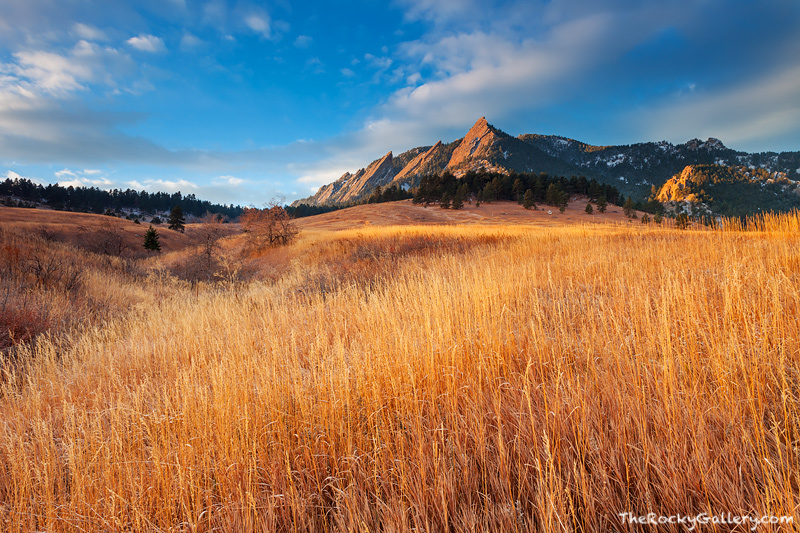 The meadow in Chautauqua Park is displaying late autumn colors in it's grasses, but winter weather has dusted the Flatirons with snow and fog. Seasons in Colorado can vary greatly between elevation. Chautauqua Meadow and Boulder received rain the night before, but just a few hundred feet above the meadow, snow coated the trees and rock's of the Flatirons. Photo © copyright by Thomas Mangan.